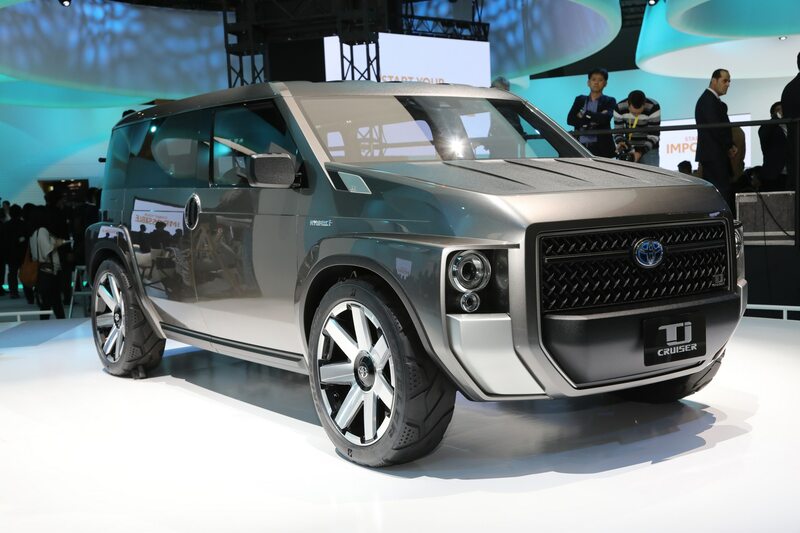 TOKYO, Japan—Dominant local automaker Toyota showed off another impressive list of debuts again, at this year’s motor show, from the Sora fuel-cell city bus to the Concept iRide autonomous pod to the GR HV Sport Concept, to the Fine Comfort Ride fuel-cell car. 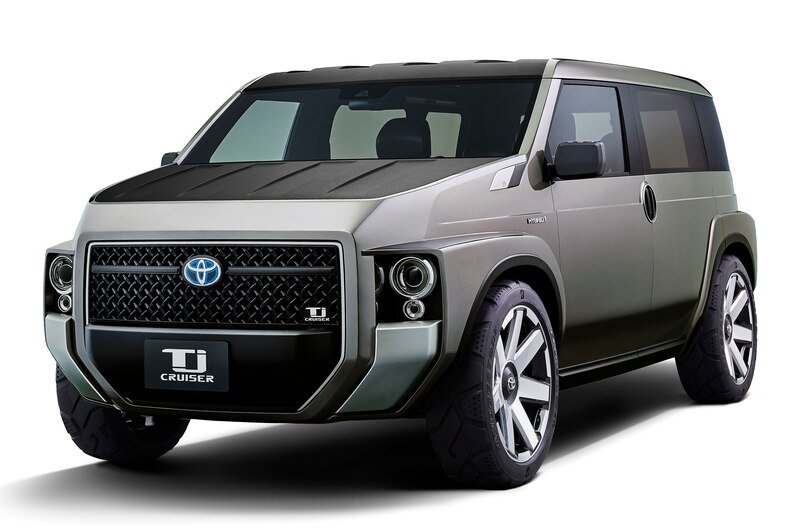 Probably the most obvious standout of these, as a new niche sport-utility vehicle with 100 percent chance of production and as a likely import to the U.S. is the Toyota TJ Cruiser. 1. 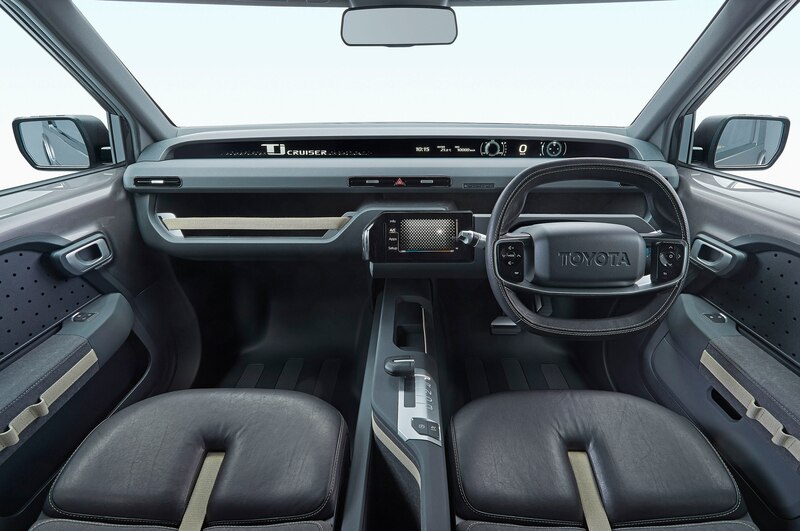 It’s powered by the Prius hybrid system. 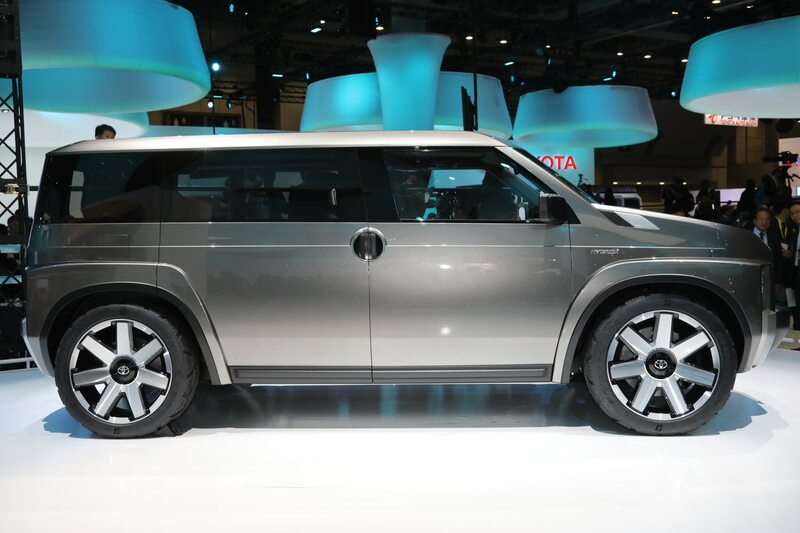 Under the hood of the Toyota TJ Cruiser is a 2.0-liter gas four combined with the Prius’ hybrid system. 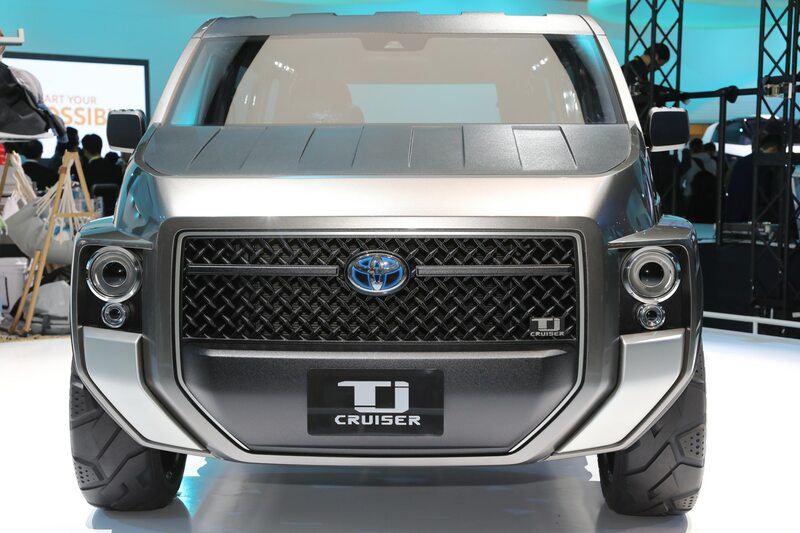 The crossover will be available with front- or four-wheel-drive, Toyota says. 2. 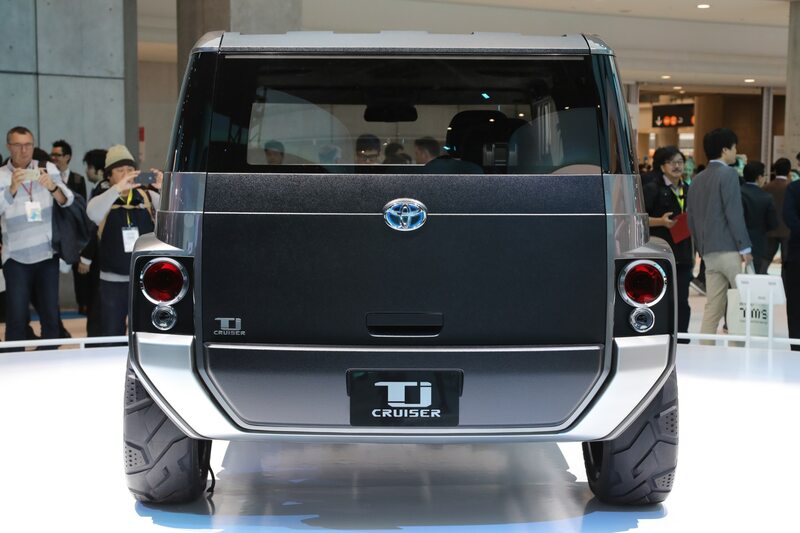 Though a paean to the FJ40 and more recent FJ Cruiser, TJ Cruiser’s inspiration may actually be the original Mini Cooper. 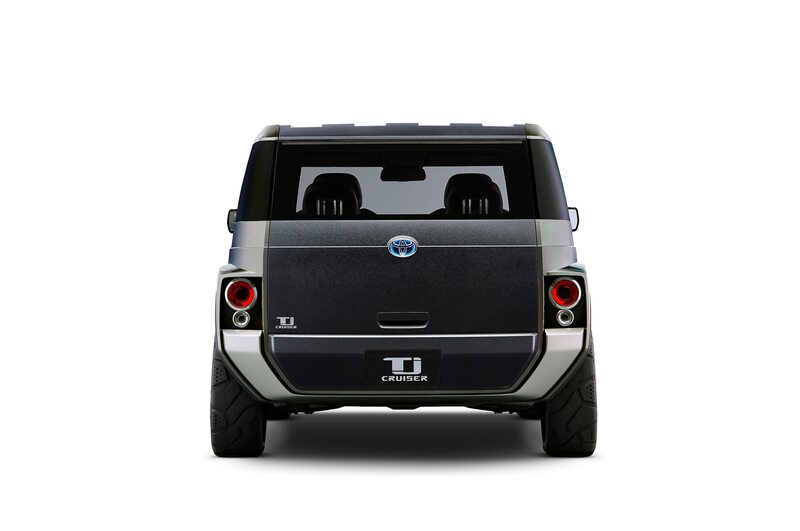 The boxy Toyota is small on the outside, big on the inside, at 169.3 inches overall and 70 inches wide, riding on a 108.3-inch wheelbase. 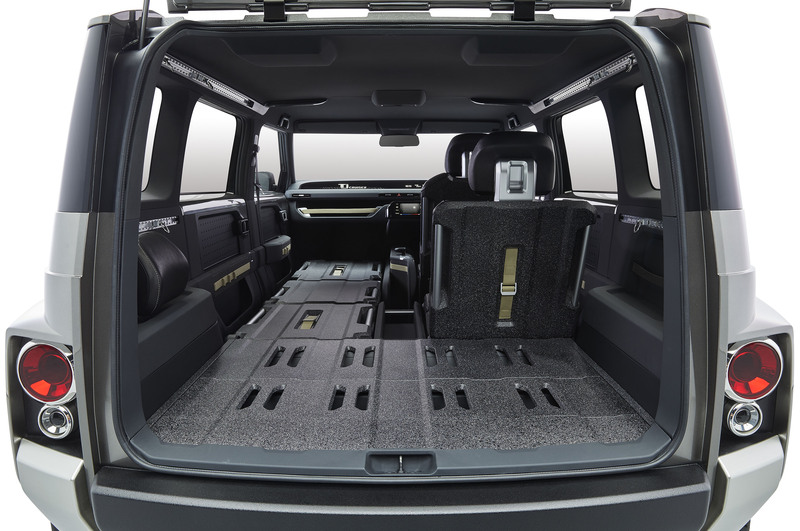 And its 63.8-inch height is way more crossover than SUV. 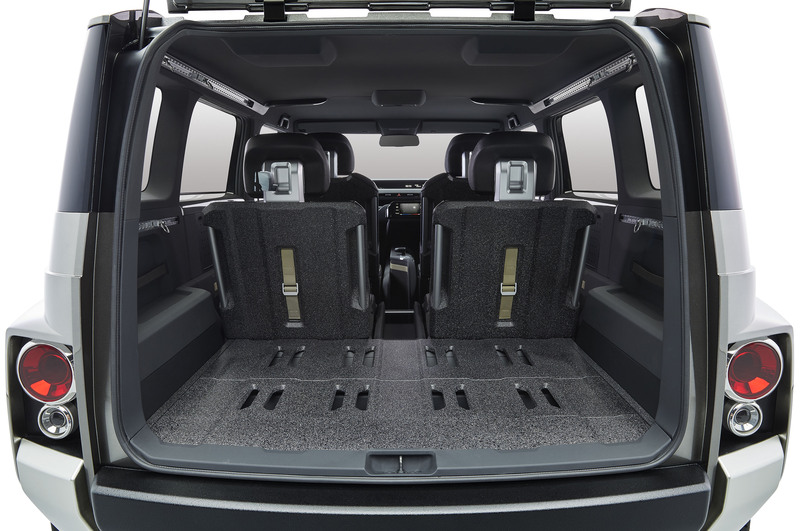 But inside, the four-place TJ’s three-passenger seats fold flat to allow sports accouterments and other objects up to 9.8 feet long. 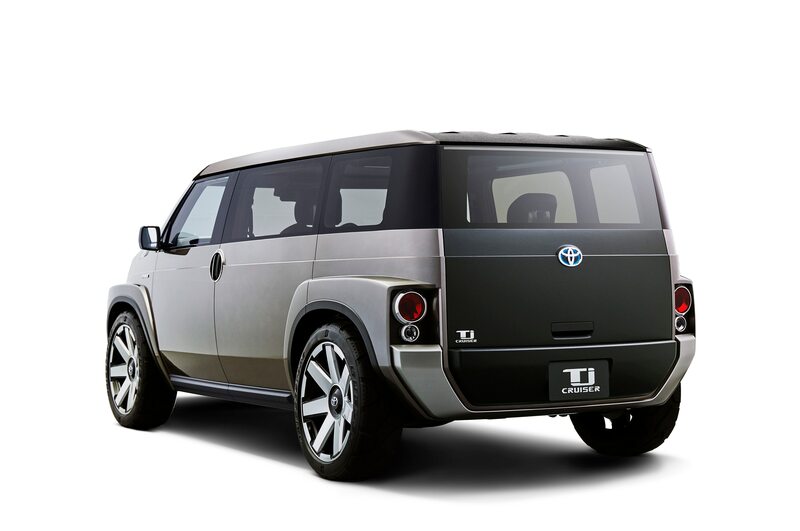 It looks like a follow-up to the FJ Cruiser but without that model’s awful blind spots. 3. 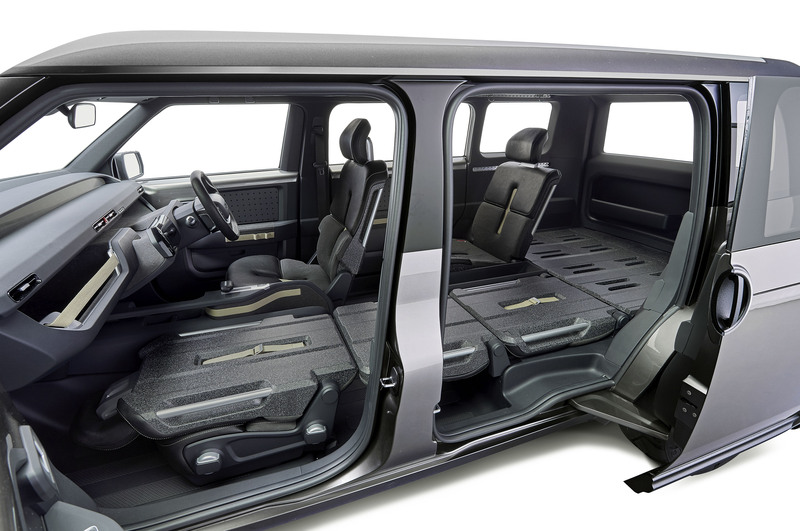 We’re also thinking Ford Flex. 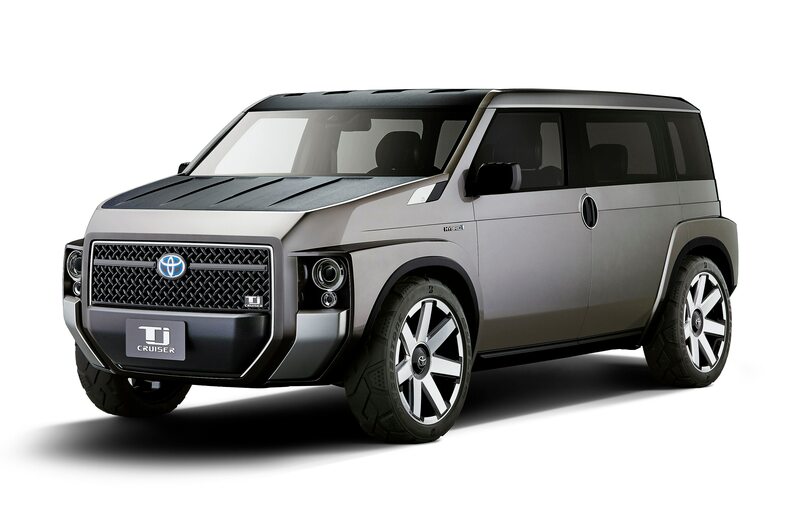 From some angles, especially taking in the squared-off greenhouse, the TJ Cruiser looks like a three-quarter-scale Flex. 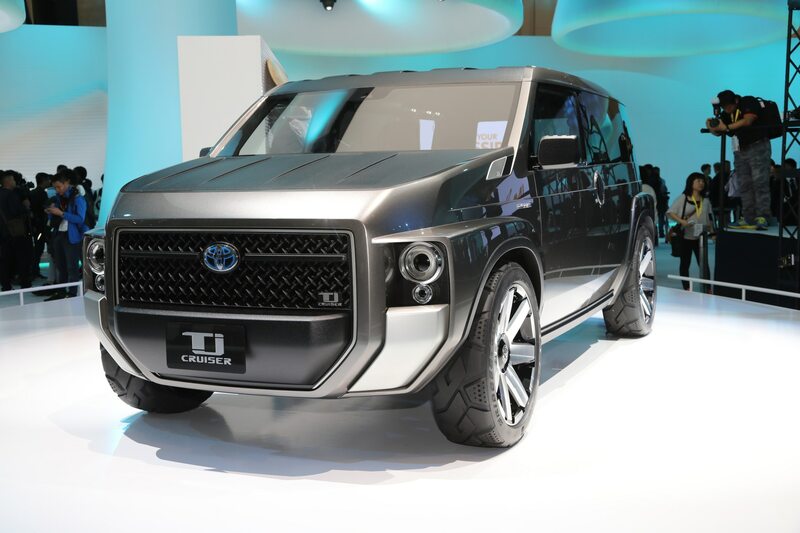 That’s a good thing, in that the Toyota combines SUV rugged looks with minivan capaciousness. Whether that sells to an image-conscious public is another question. 4. It’s scratch and dirt resistant. 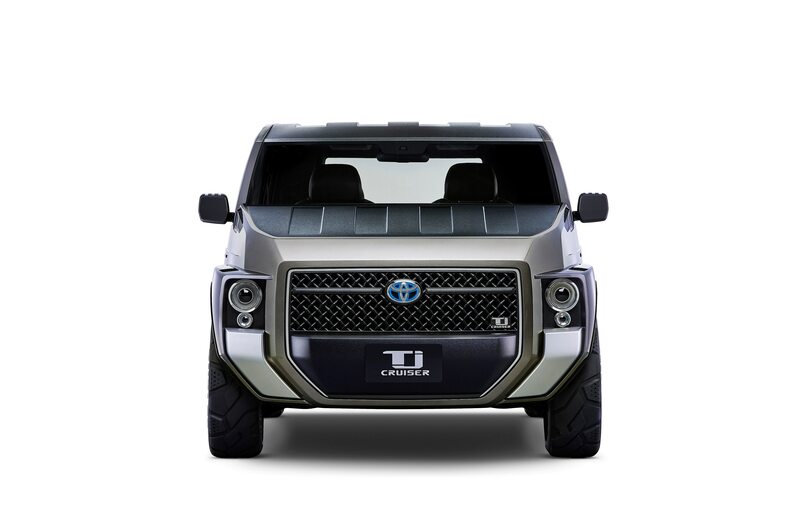 The TJ’s hood, roof, and fenders have a special coating said to resist scratches and dirt, so no, it will not appeal to traditional Jeep Wrangler customers. 5. You can bet on North American sales. 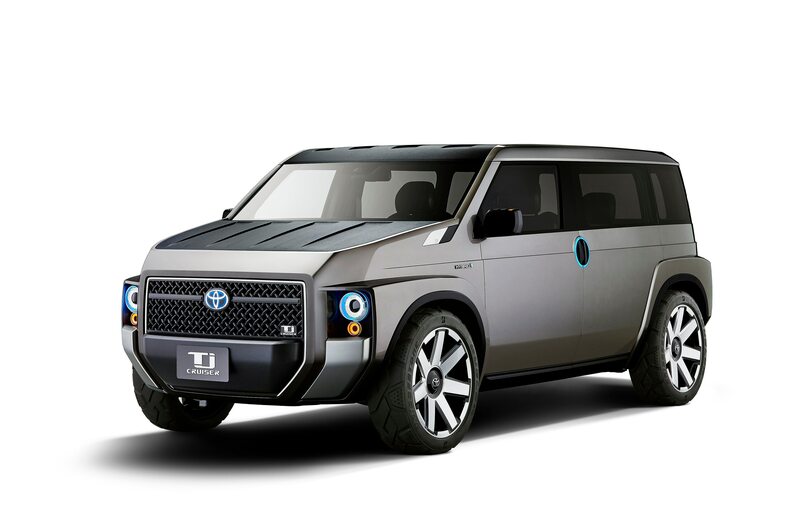 Toyota says use of the next-generation TGNA [Toyota New Global Platform] is “expected.” Considering the finished look of the concept, it’s safe to say a production Toyota TJ Cruiser is within two years away. As for our market, I’m told, we might see something like that in the future. 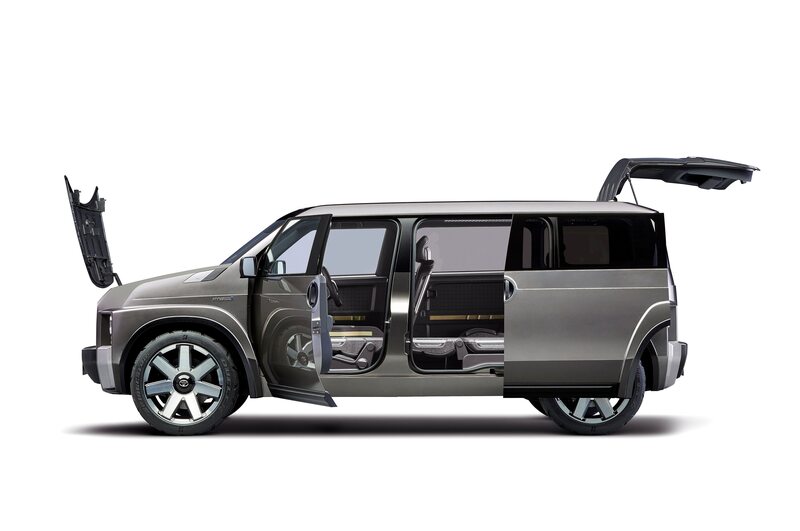 In an SUV-crazy market, worldwide, you can count on it.